Hello world! Out of nowhere I got an 10.5” iPad Pro. I did not quite need it. But still. I also got a Smart Keyboard and the Pencil with it. IPad Pro bundle was on sale last week — I managed to save around ₹18K on the purchase (after forking out ₹56K). Anyway, now that I’ve got the iPad Pro I thought to make good use of it. Recently I started reading books on one side and taking notes on the GoodNotes app on other. The experience was nearly ideal. While reading a book, I always wanted to have a note taking mechanism on my side, and this set up enables me do that. But more on this later. 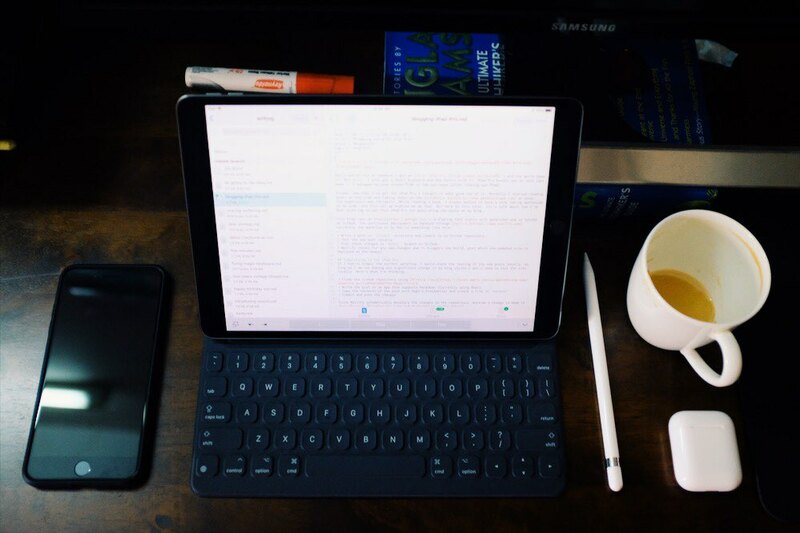 Let’s talk about how I’ve been planning to set this iPad Pro for publishing new posts on my blog. 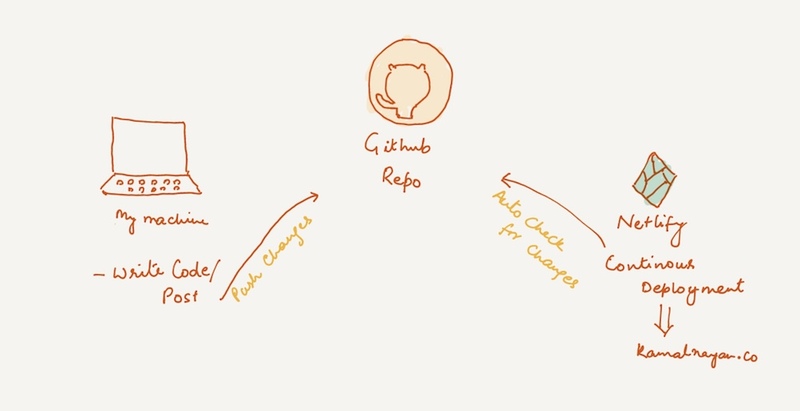 Write a post in content directory and commit to to Github repository. Test the new post locally. Push those changes to master branch on Github. Netlify checks for any new changes and it triggers the build, post which the updated site is deployed on the domain. Since Netlify automatically monitors the changes to the repository, anytime a change is made it does the rest — building the site and deploying it on the domain. Hopefully in days to come, I should be able to smooth out this part of the workflow, but for now this is how my blogging setup looks like on iPad Pro.